The compact view automatically displays when the browser window is not wide enough for the normal view. Located in the top left-hand corner of the page. Replaces the Dashboard, Plans, Segments, Reports and Settings tabs in the normal view. See UI icons for a description of each icon displayed in the UI. Click to display a selectable list of management pages. Click the appropriate entry to navigate to the required management page. Click the X icon, located in the top right-hand corner of the page, to close the list of management pages. Click at any time, to return to the start page. Selected using the Management page icon on the Control bar. 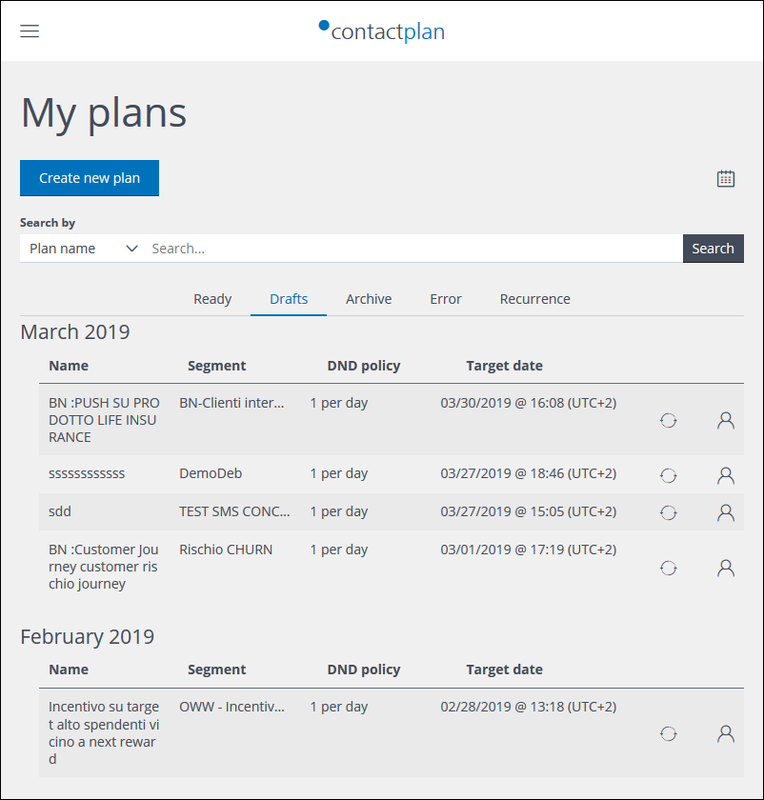 The Plans management page is the default. The compact view does not include the User information panel. The UI normal view displays the UI as it is generally intended to be used. Enlarge the browser window as appropriate, to display the UI normal view.